Graduated from Palmer College of Chiropractic in Davenport Iowa in 1977. Member of Northeast Ohio Academy of Chiropractic, Ohio State Chiropractic Association, and American Chiropractic Association. Dr. Paul completed his undergraduate studies at Cleveland State University. While there, he obtained a bachelors degree in Health Sciences. 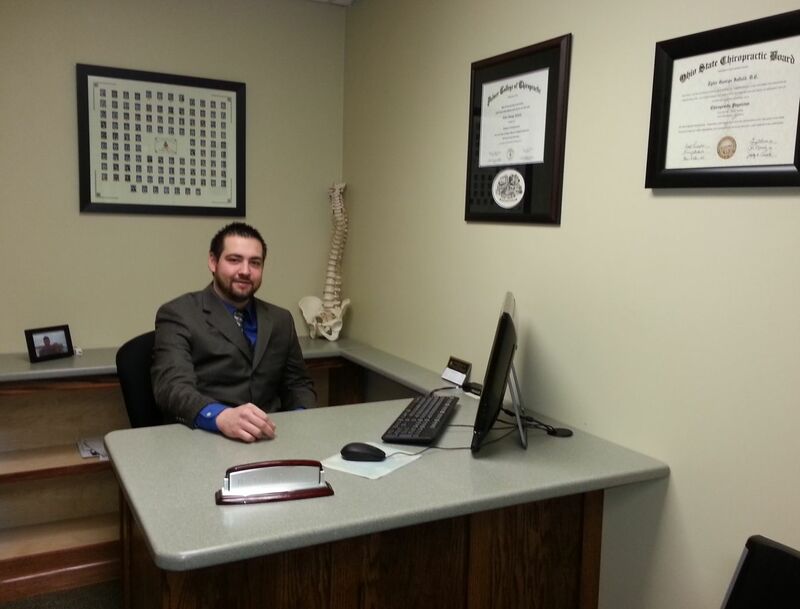 After his undergraduate schooling he attended Palmer College of Chiropractic in Davenport, Iowa. While at Palmer he worked as a teacher's assistant in the Physiotherapy labs. This provided him the opportunity to work with the foremost experts in chiropractic rehabilitation. He has brought an active physiotherapy program to the office. While at Palmer he was also a radiology technician. He was in charge of x-ray techniques and setup for the other students. He graduated with honors on October 19, 2012 with his Doctorate in Chiropractic. Dr. Paul is currently living in Euclid, Ohio with his wife Kristen and his two daughters. He heads up our office in Euclid, Ohio. He is a board certified as a Chiropractic Sports Physician by the American Board of Chiropratic Sports Physicians. 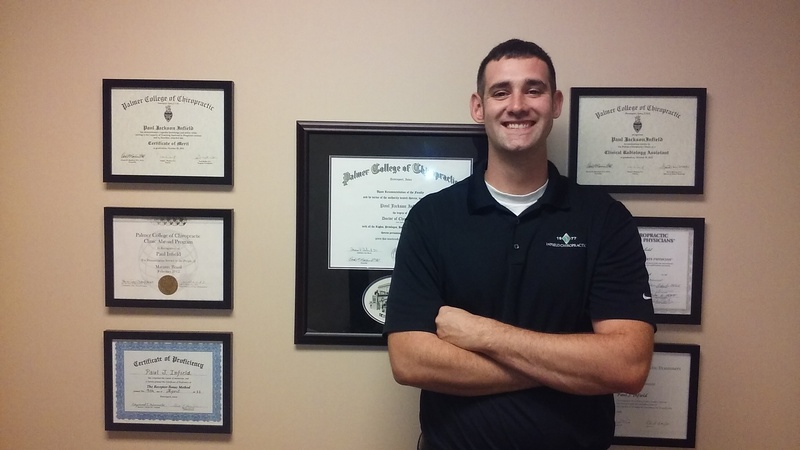 Dr. Paul has recently completed all of his courses and is going to sit for his Diplomate exam to obtain his Diplomate in sports chiropractic. He is also a member of the ACBSP's concussion registry and is very well equipped to manage concussions and establish return to play guidlines. Since November 2014 he has been on the board of the Northeast Ohio Academy of Chiropractors. He is also a member of the American Chiropractic Association, ACA sports council, Ohio State Chiropractic Association, and Northeast Ohio Academy of Chiropractic. Dr. Paul is also very active in his community. He is on the board of directors for the Euclid Chamber of Commerce. In his spare time Dr. Paul volunteers as the strenth and coach for the Euclid High School volleyball teams. He is proud to be able to work with so many student athletes. Dr. Tyler started his undergraduate studies at Edinboro University of Pennsylvania. After 3 full years at Edinboro he transferred to Palmer College of Chiropractic in Davenport, Iowa to start on his graduate school studies, while still fulfilling his undergraduate requirements. By his 4th trimester at Palmer he finished his undergraduate degree, then on October 19, 2012 he finished his Doctorate of Chiropractic degree. During college at Palmer, he took extra electives in Logan Basic, Cox Flexion Distraction and Soft Tissue Techniques. Dr. Tyler is constantly continuing his education and providing evidence based research care to his patients. Dr. Tyler has completed training to become a Certified Chiropractic Sports Physician from the American Chiropractic Board of Sports Physicians on April 29th, 2016. In which he completed a seminar series, online course work, and passed the written examination through the American Chiropractic Board of Sports Physicians. Following this training Dr. Tyler enroled in further training in the sports medicine field to obtain his diplomat in sports chiropractic thru the American Chiropractic Board of Sports Physicians on May 23rd, 2018. This requirement was fufilled by attending 8 sports medicine seminars 12 hours each, completing the online portion, submitting a peer-reviewed case study, obtaining 100 sideline hours (ski patrol), taking the written evaluation, and practical evaluation in the practice of sports chiropractic. Dr. Tyler is on the Concussion registry through the American Chiropractic Board of Sports Physicians. This allows him to diagnose, treat, and manage return to play following concussions. He currently is an active member of the Mount Pleasant of Edinboro Ski Patrol during the winter months. Dr. Tyler has performed a rotation at the Olympic training center in Colorado Springs and worked on the Nitro Circus Tour. Professional organizations which Dr. Tyler is a member of include: include the Ohio State Chiropractic Association, American Chiropractic Association, Northeast Ohio Academy of Chiropractic, and ACA sports council. Dr. Tyler currently resides in Kingsville, Ohio with his Wife Kady Infield. He is currently a member of the Ashtabula Rotary club and was president for the 2014/2015 year. He is also a trustee of the Kingsville Public Library. During his free time he enjoys outdoor activities which include jeeping, ATV riding, camping, snowmobiling, snowboarding, and maintaing a healthy lifestyle.